Puglia - Hidden Treasures of Italy - A Rose Is A Rose Is A Rose! Usually, travelogues tell of one individual’s journey. 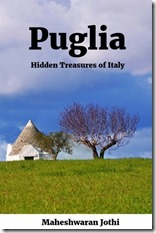 Maheshwaran’s Puglia – Hidden Treasures of Italy, is a lot more extensive than what usually travelogues are. It is not about chasing the destination and rush it out on a holiday, but it is about soaking in the place just like one of the locals and enjoy the journey. 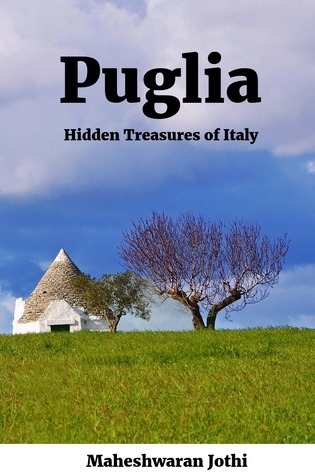 In this book, the author has shared all about Pugalia which is in the south of Italy and is one of the often-ignored regions of this European country. The book gives a 3 day itinerary of what all can be done in Puglia which is a treasure trove of art, history, and nature. There’s information on how to reach and where to stay in Puglia. The book focuses on 10 interesting places to see in Pugalia. These are Lecce, Ostuni, Cisternino, Locorotondo, Alberobello, Brindisi, Gallipolli, Leuca, Otranto and Torre del’Orso. Maheshwaran has provided vivid descriptions, historic and factual information that gives insights about the daily-life, culture, architecture and history of the attractions at all these places. The pictures add to the charm and appeal of all these places. So, if you are visiting Italy, you just need to read this guide to make sure you get the most out of your trip to the incredible hidden treasures that you will find in Puglia. 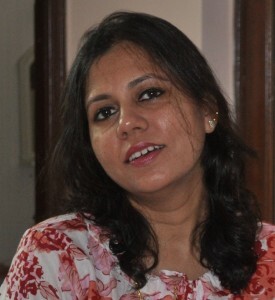 Thanks for sharing this, Shilpa. Kudos to the author for such an interesting book. Would love to visit this place once in my life time. Interesting place to travel. Thanks for sharing. That’s a great way to travel. Every country has so many hidden treasures that don’t make it to the typical touristy destinations. Knowing about them and having an itinerary for them is wonderful. I have never visited Italy but heard it’s very beautiful. Sometimes there are many places which are unknown to most of the tourists but they are the hidden treasures. Sounds a great book, I have been to Puglia and cannot agree more than this. The beauty of this place is mesmerizing.